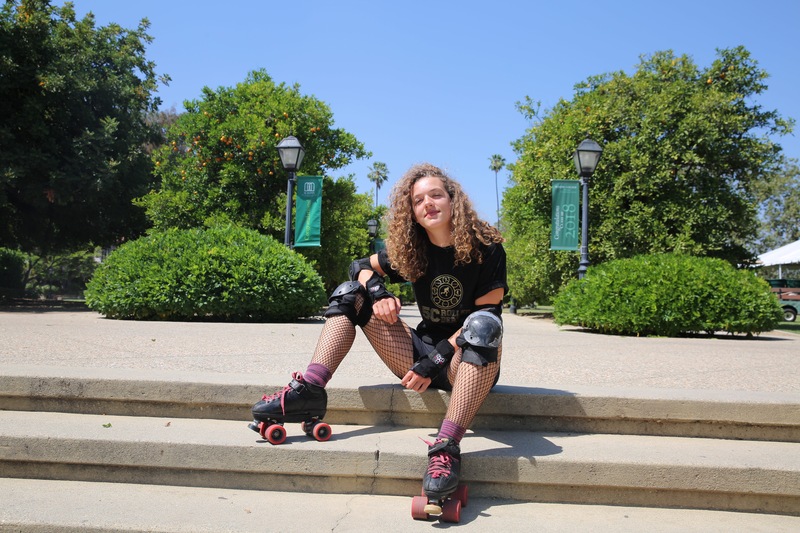 Carmen Abbe ’18, a human biology major from Seattle, has balanced her time at Scripps between taking science and humanities courses and playing on the roller derby team she founded as a first-year student. After graduation, she hopes to continue incorporating her passions; Abbe has her sights set on attending medical school, expanding on her thesis research, and engaging with the derby community in Seattle. The 5C Women’s Roller Derby team, which began as a casual club with a few intermittent members, has grown into an official intramural 5C sports team, now 25 members strong. It is one of only four collegiate teams in the U.S. and regularly participates in monthly Inland Empire scrimmages. In 2018, the team attracted enough members to be able to host about against another team from Arizona State University. 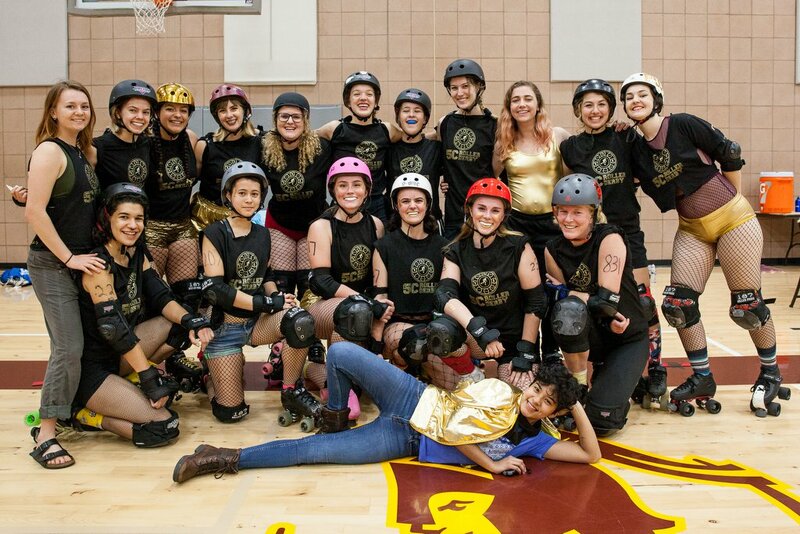 The event was the first-ever interstate, intercollegiate roller derby match. Abbe founded the 5C Women’s Roller Derby club because she wanted to continue participating in the sport, which she took up in high school. She also believes roller derby is an empowering sport for women to participate in, as the intense physical contact in the rink emphasizes individuality, strength, and community. Abbe’s senior thesis examines data for a male contraceptive whose clinical trials were terminated early because of side effects and compares those results to the side effects many women experience taking FDA-approved contraceptives. Abbe said her results suggest that the “safety assessments on side effect risk aren’t really equitable across genders,” and she will be working with a doctor at the University of Washington over the summer to revise and publish her findings in an academic journal.